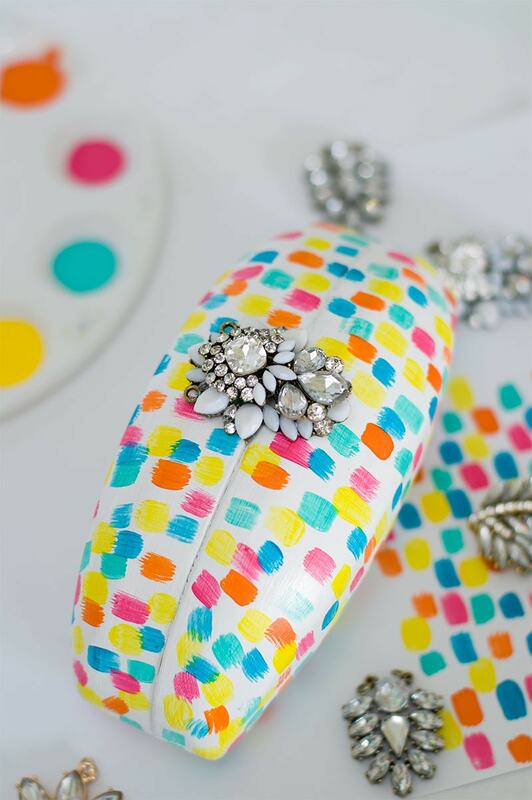 I just love a makeover project, especially when creating a cute accessory for my outfit! A DIY Clutch!! That’s what I love about DecoArt’s new Stylin Paint, it’s perfect for that! I had a sunglass case in my closet that I hadn’t used in years. So when our project theme this month was to create a stylish project using the new Stylin paint, I knew exactly what I wanted to do! 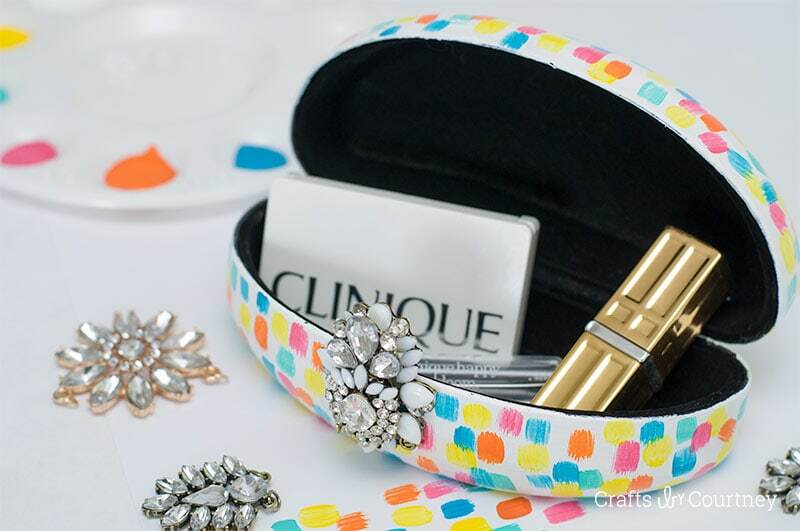 Create a fun/glam clutch using the sunglass case. As you all know I’m apart of the core blogger team for DecoArt. 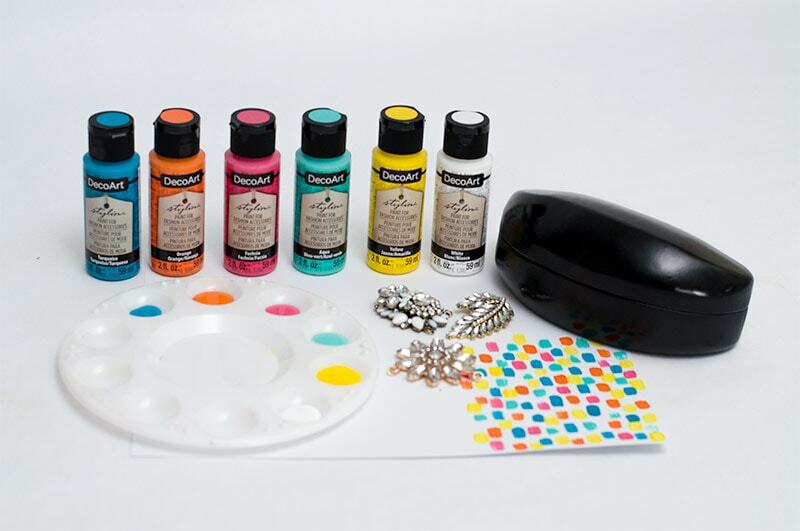 Every month we have a fun challenge to create a project using a DecoArt product. This month our challenge was using any of DecoArt’s NEW Stylin Paints. I just loved how this DIY clutch turned out! The paint went over the project so easy, just a couple coats and your done! Don’t forget to add your glam to complete the look! 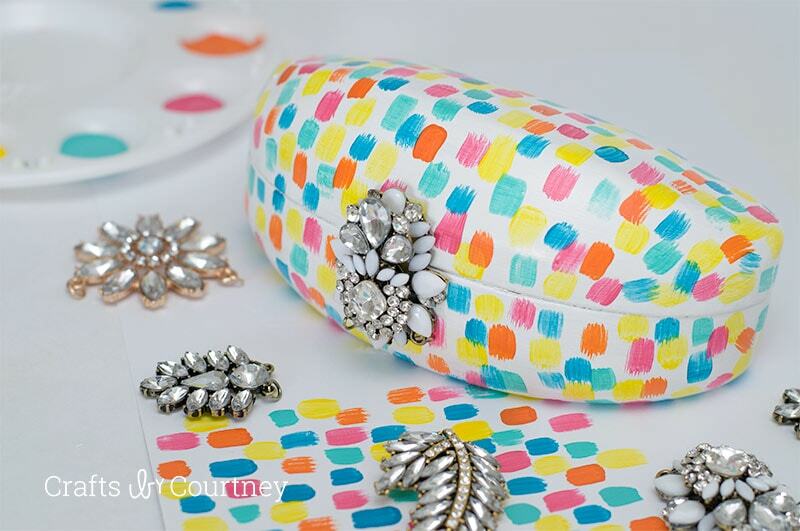 I seriously can’t believe how easy it was to give this sunglass case a makeover! I can’t wait to try more projects with the new Stylin paint. Here’s DecoArt’s Stylin Pinterest board to check out more ideas you can do!